The Albert Medal was awarded to honour people who died while saving the lives of others. Named in memory of Prince Albert, Queen Victoria's husband, the medal was first awarded in 1866. 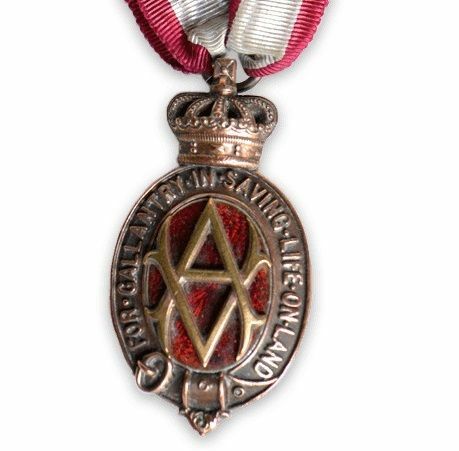 From 1877 there were two different forms of the Albert Medal, one for those who have saved a life at sea and the other for those who have saved a life on land. The Albert Medal has First and Second classes too, for different levels of bravery. 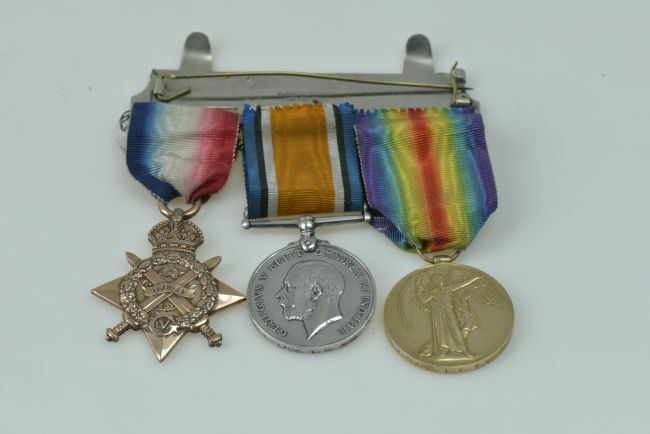 During the First World War 45 First Class and 290 Second Class Albert Medals were awarded. The Albert Medal was replaced by the George Cross Medal in 1971. The First Class Albert Medal is made of gold, while the Second Class medal is bronze. The medal ribbon is crimson and white striped. The Second Class medal has five stripes, the First Class has nine. The obverse (front) of the medal has the letters V (for Victoria) and A (for Albert) linked together, surrounded by the word 'For Saving Life on Land'. The reverse (back) of the medal is engraved with the details of the person the medal was awarded. It reads: 'Awarded by His Majesty in recognition of the gallantry of Petty Officer Alfred Place RN in saving life at the cost of his own life on the 16th June 1916'. Alfred and his brother Thomas were born in Leeds. 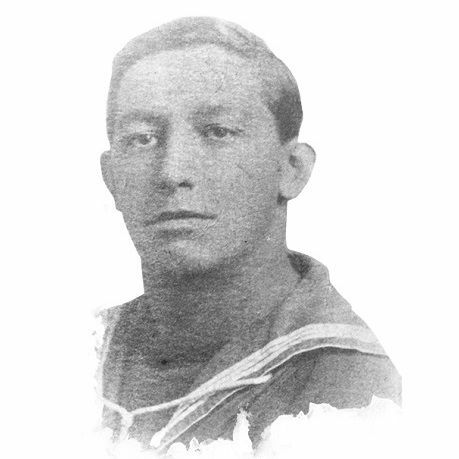 Alfred was already serving in the Royal Navy when the First World War was declared. His brother Thomas joined the West Yorkshire Regiment (Thomas's own story is told on the Meritorious Service Medal page). Before the war Alfred was a champion boxer. He travelled widely during his time in the navy and sent home exotic presents, like a photograph frame from China. 'At Blandford, on the 16th June, 1916, during grenade practice, a live bomb thrown by one of the men under instruction fell back into the trench. Petty Officer Place rushed forward, pulled back two men who were in front of him and attempted to reach the grenade with the intention of throwing it over the parapet. Unfortunately, the bomb exploded before he could reach it and inflicted fatal injuries. 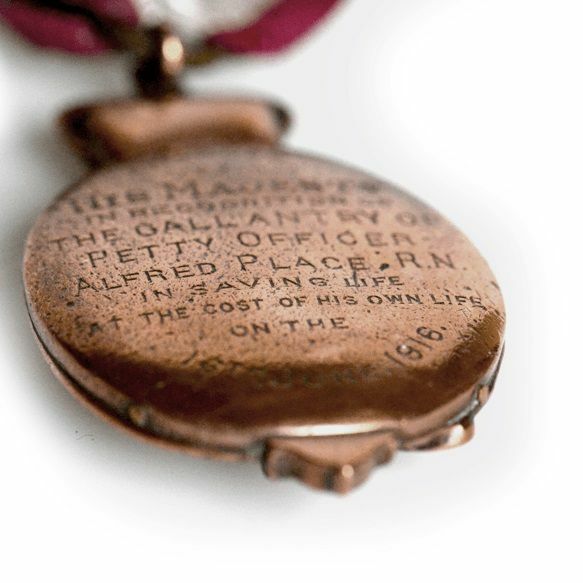 As he died while protecting others, Alfred Place received the Albert Medal. His brother Thomas treasured Alfred's medals and photographs for many years, before donating them, along with his own, to Leeds Museum. You can also view Alfred's story in graphic form and get a detailed description of the Albert Medal on the WW1 Medals Interactive 'Our First World War Guardians'. The interactive includes the five other medal recipients' stories and a 'make your own medal' online activity.